There’s a fantastic snippet in this video, about 2 minutes and 58 seconds in, that does a great job of capturing the spirit of this project. 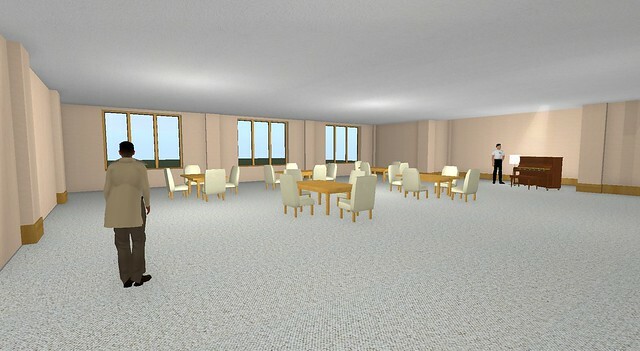 This is a group of senior citizens looking at the virtual world of Second Life projected on a wall in front of them, and you can hear the almost visceral reaction the group has to watching their suggested design changes to a new senior living community take shape before their eyes. 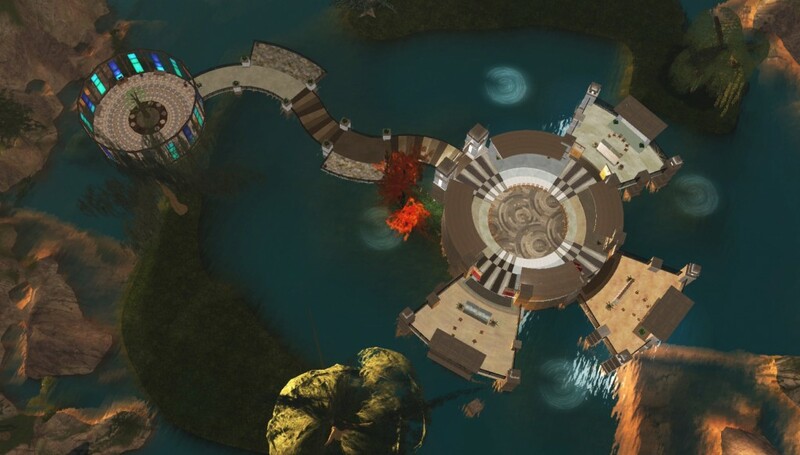 Read the rest of this post and view the machinima at our new site, HERE. 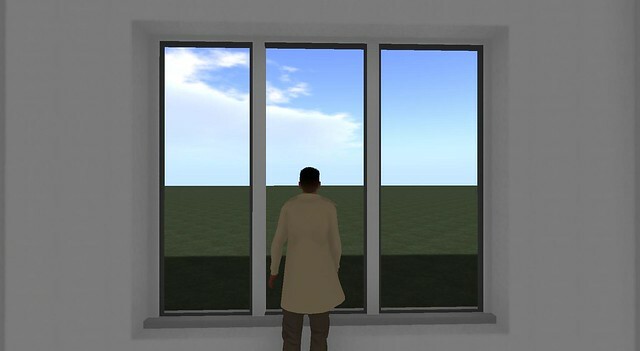 A single window was turned into a glass wall, which suddenly lets in more light, and opened up more views to the outside. 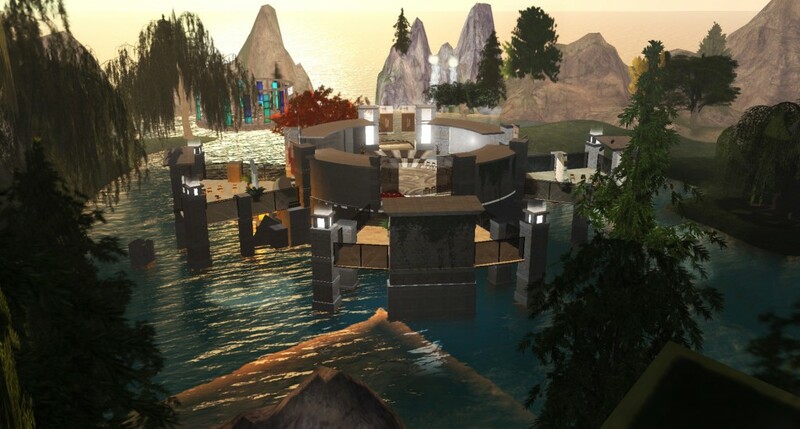 The impact of this design change was immediately evident to everyone in this session, which was held simultaneously in a conference room in Madison, Wisconsin as well as a platform in the sky above Architecture Island in Second Life. 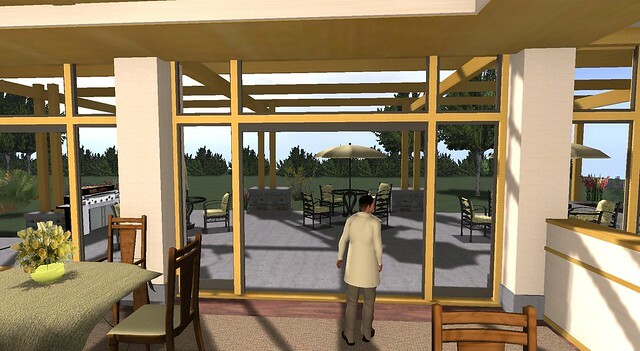 My long-time friend and colleague, Derrick Van Mell, of Van Mell Associates, had recently introduced me to Rita Giovannoni, CEO of Independent Living, and we sat down at a coffee shop for a quick demo of Second Life. 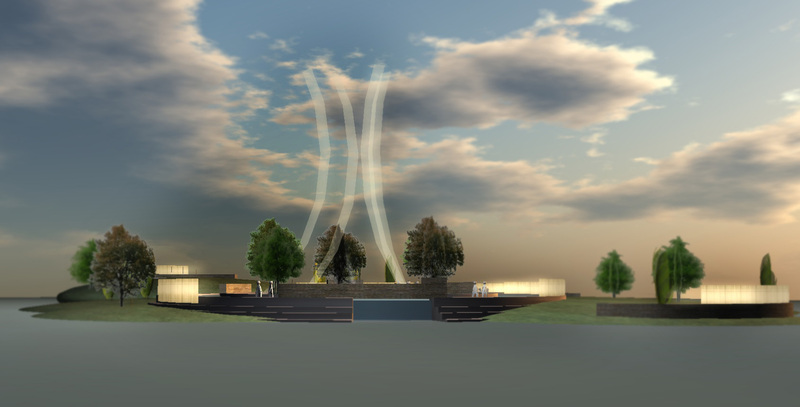 Derrick had been following my interest in virtual worlds since the very beginning, and knew Rita was interested in a fresh perspective on the design process for her next project. 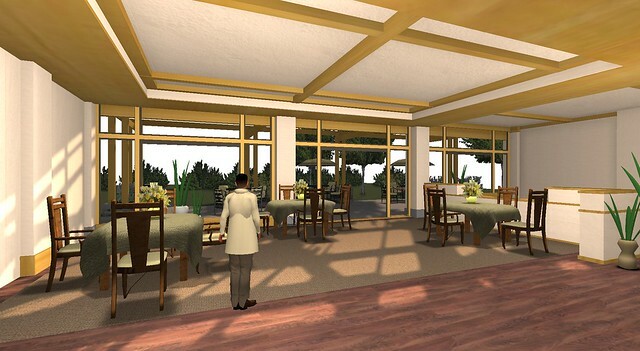 Having led construction of 3 previous senior living facilities, and entering the early design planning for a 4th facility, she was eager to find a unique approach to design. 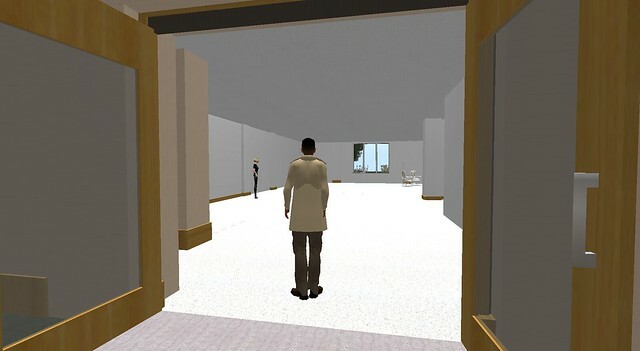 I opened Second Life on my laptop, and walked my avatar into an empty virtual room. So far, so good, but Rita looks hesitant. Inside, my avatar reaches up and slowly starts lowering the ceiling down until it’s hovering just above his head. “That’s way too enclosed and claustrophobic! We don’t want that.” Rita immediately reacts. I then slowly raised the ceiling up higher. “That’s too high – it looks too institutional.” I lowered it half-way down, until it was “just right.” We went through other parts of the building, and similarly modified the design in realtime, until it was all “just right.” Rita immediately recognized that this was not only a truly unique way to visualize design ideas, but also an opportunity to actively engage others in the design process itself. 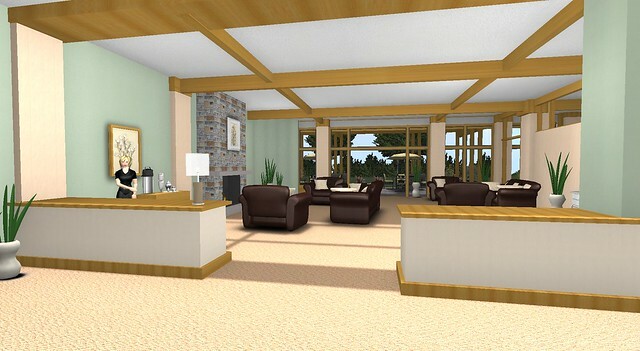 We started brainstorming ways Independent Living might be able to invite prospective residents to participate in designing their new facility. We decided to work with focus groups of prospective residents who were considering a move into a facility like the one Independent Living would soon be building. 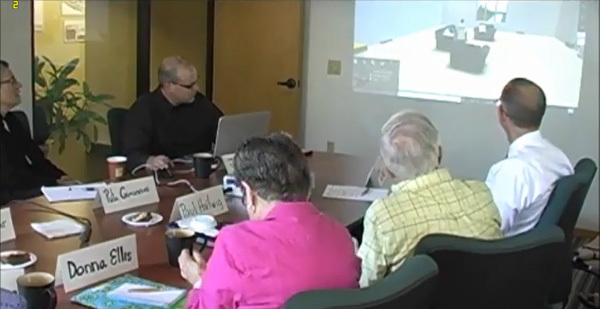 We invited Jim Gersich, Partner-in-Charge at Dimension IV Madison Design Group, which has a lot of experience with designing senior living facilities, and he offered to host the session in his studio’s conference room. 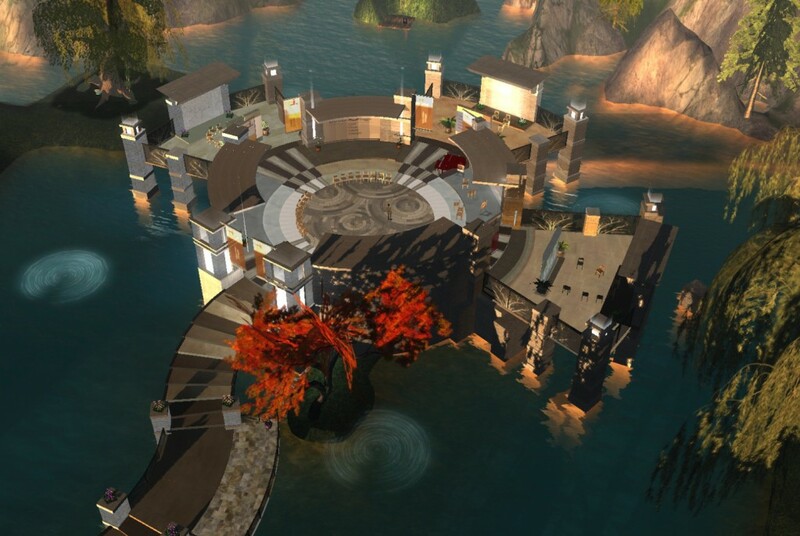 We projected Second Life onto a wall, and invited the group to imagine how they would like the new facility to feel and function. I had been concerned that the virtual modeling might cause some motion sickness, or may even be just too silly to take seriously as a design medium, but there was no hesitation with this group, they got it immediately. The movable ceiling trick was all it took to get their attention. It never ceases to amaze me how strong of a reaction people have to watching my avatar slowly being enclosed by a lower and lower ceiling. They can literally feel the difference it’s making to the way the space feels. 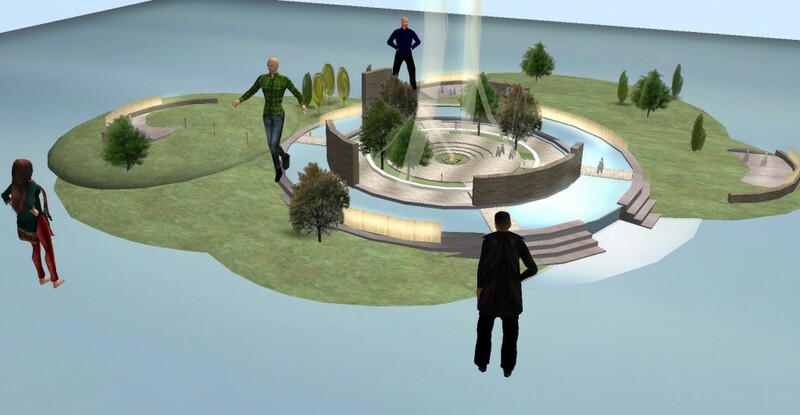 Therein lies the whole idea behind this endeavor – to use virtual reality to immerse people in a simulated environment, where they can immediately see and feel the impact of design ideas in 3D as the discussion unfolds, in realtime. What’s more is that they can actually suggest design ideas, and watch their ideas take shape before their eyes. All of the residents did a great job providing invaluable feedback on the design of the new facility, and I think they each left with a sense of ownership in the project, having contributed to this early ideation phase. 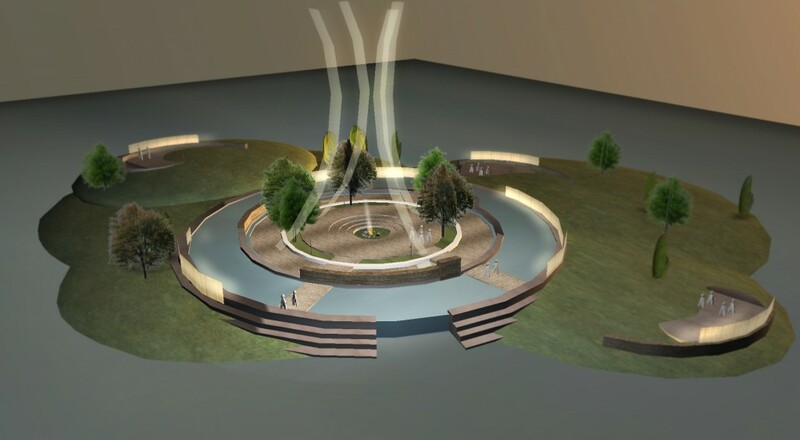 As we prepared for this session, it was tempting to assume we knew certain things about how the design would layout, and to start preparing design solutions ahead of the focus groups. But as we quickly learned, many of those assumptions turned out to be wrong, and this group had a lot of great ideas we would never have thought of. Not every project is right for bringing end-users into the design conversation this way, but there are always numerous project stakeholders with a vested interest in being sure the building feels and functions exactly as they need it to. 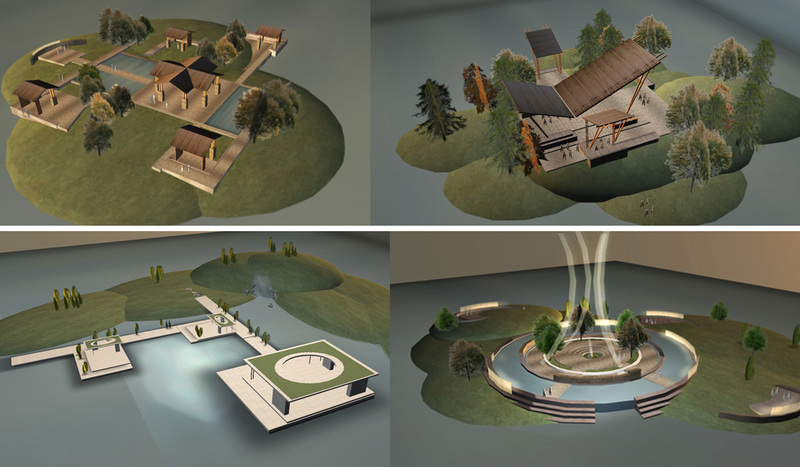 Working within a virtual environment not only helps everyone visualize the design more holistically, but it opens up the opportunity to take steps toward getting it “just right,” and ensuring the project more closely reflects the goals of the organization. If you’re interested in using virtual reality in your next design project, send us a note at info (at) archvirtual.com.